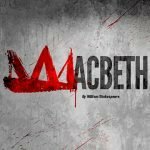 Events By Tag Name - " ethington theatre "
William Shakespeare’s epic tragedy “Macbeth” comes to Ethington Theater to thrill audiences with a story of royal and bloody dissension that ensues from a ruthless fight for power. Driven by blind political ambition, warrior and antagonist Macbeth rises and falls in a cold-blooded quest toward kingship. This theatrical Shakespearean theatrical drama captures how deceit and murder, without any moral restraint, ends with deadly consequences. Unbridled Ambition. Corrupted Power. Tragic Downfall. Macbeth, a brave Scottish general, finds himself in an unmerciful quest for the Scottish throne after receiving a prophecy from three witches that he’s destined to wear the crown. His steadfast desire to become king, along with the persuasion of his manipulative wife, Lady Macbeth, drive him to murder King Duncan. Now a tyrannical ruler, Macbeth becomes wrought with paranoia and guilt over his evil deeds. Securing his kindship consumes him and he desperately uses any means possible to eliminate potential threats to his throne. Fear and guilt also weigh on Lady Macbeth’s conscience as she loses her mind. Among the bloodshed and treachery, Macbeth and Lady Macbeth cannot escape their fatal fates. Ethington Theatre invites you to this Shakespearean event that will have you on the edge of your seat. Registration will be available shortly! “Ring Round the Moon” is a humorous, Cinderella-themed theatrical display of misguided love affairs and sly pursuits between high society and the lower class. 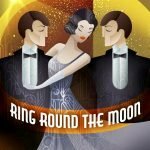 Adapted by Christopher Fry, “Ring Round the Moon” radiates with fairy tale charm mixed with wry wit while unfolding as a comedic love story in the 1920s. 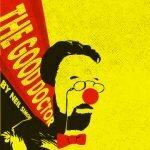 Tony Award and Pulitzer Prize-winning playwright Neil Simon pays tribute to famed Russian playwright Anton Chekhov by connecting a series of short plays, humorously narrated by a quirky writer representing Chekhov himself. Follow unpredictable plot twists and turns of laugh-out-loud scenes and clever comedy touched with tender moments. 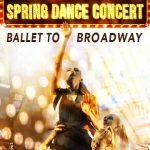 "Give my regards to Broadway / Remember me to Herald Square /Tell all the gang at Forty Second Street /That I will soon be there"
Inspired by classical ballet and The Great White Way in equal measure, the Ethington Dance Ensemble will perform dances that touch upon popular culture and the American musical tradition. 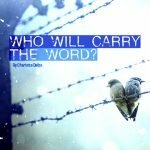 Don't be too certain about what will take place! Our faculty and guest choreographers are likely to bend the rules and transform typical conventions. 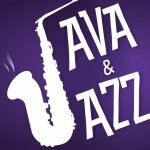 Grand Canyon University’s College of Fine Arts and Production presents Java & Jazz, with live music from Thunder Big Band, tasty treats and delicious drinks. 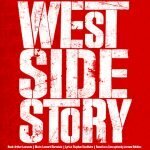 In Stephen Sondheim’s Broadway debut, the Sharks and the Jets are two feuding street gangs in 1950's New York’s blue-collar Upper West Side. At a school dance, Tony, a Jet, falls in love with Maria, a Sharks’ sister. They know they can't be together because of the gang's war but that doesn't stop them. The classic Romeo and Juliet saga’s dark theme, sophisticated music and extended dance scenes have made it an American classic. "Love is your master, for he masters you: And he that is so yoked by a fool, Methinks, should not be chronicled for wise." 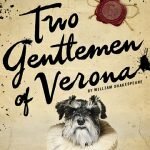 This Shakespearean comedy finds two young friends, Valentine and Proteus, making their way from Verona to Milan. Valentine's father is sending him to take a position in the Duke of Milan's court, and Proteus accompanies him reluctantly, not wanting to leave his beloved Julia. While in Milan, Valentine falls for the Duke's daughter. From here, things get considerably more complicated as the bosom buddies find themselves torn between the bonds of friendship and romance. This production is considered the "granddaddy" of modern buddy comedies. 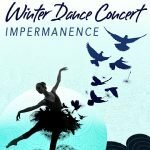 The nature of dance is ephemeral; it disappears the moment after performance. Until the advent of film, dance was rarely captured except through human memory. 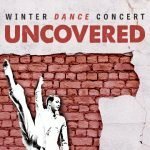 Ethington Dance Ensemble members will perform the work of faculty and guest choreographers, exploring the tension created by change both in our individual lives and as communities.